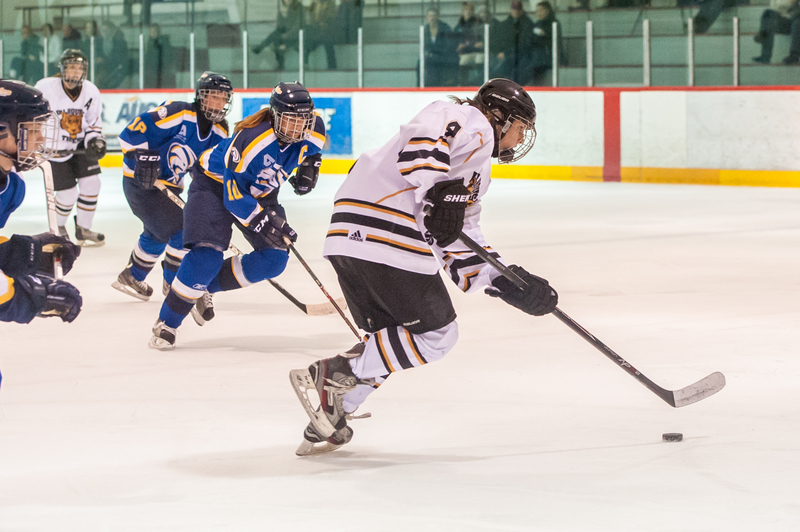 A disappointing weekend for Tigers hockey ended on a redeeming note, as Dalhousie’s women’s team overcame a two-goal deficit to secure a 2-2 tie against UPEI on Saturday, Nov. 2. Forwards Courtney Sheedy and Elena Tsitouras scored for the Tigers, helping the team bounce back from the previous night’s 3-2 loss to Moncton’s Aigles Bleues. The Dalhousie men also suffered defeat over the weekend, falling 5-4 to St. FX on Friday, Nov.1. A rematch between the 2-3 X-Men and the winless 0-5-1 Tigers is set for Wednesday, Nov. 6. 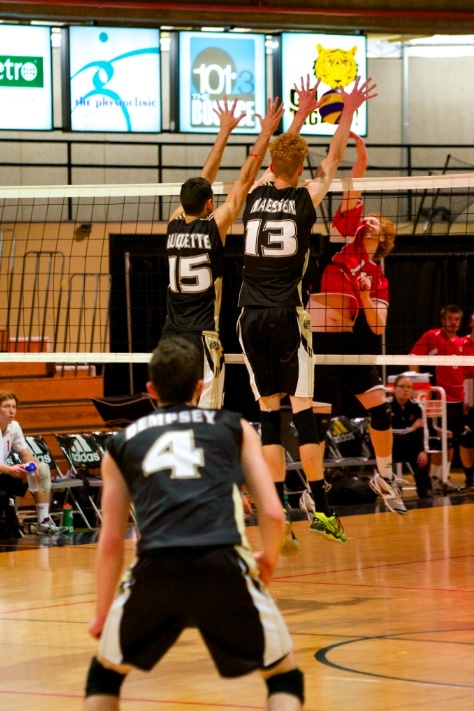 The Dalhousie’s men’s volleyball team capitalized on an early-season excursion to St. John’s, stretching their record to a spotless 5-0 by earning two convincing straight-set victories over Memorial University. The game on Saturday, Nov. 2 provided a showcase for the Tigers’ balanced attack, as four players earned five points or more. Outside hitter Kristen O’Brien led the way with nine kills, while rookie Matthew Donovan registered seven. During the next day’s rematch, libero Logan Baillie turned in an impressive defensive performance, contributing nine digs as his team defeated the Sea-Hawks 25-19, 25-12 and 26-16. 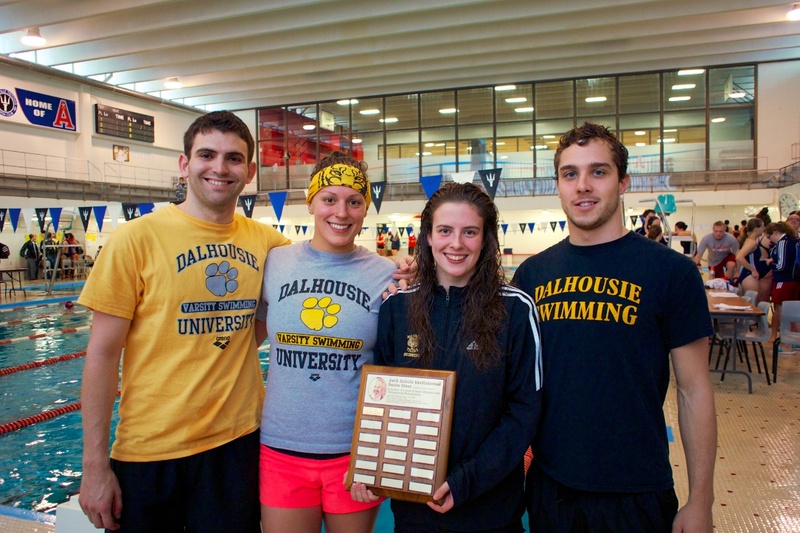 The Dalhousie men’s and women’s swim teams combined to win their second meet in as many attempts, capturing the Jack Scholz Memorial Trophy on a wintry weekend in Wolfville. Led by strong performances by David Sharpe, Joe Ur and Chris Reith, the men managed to fend off a stiff challenge from second-place Acadia during the Nov. 2 session, eventually pulling away from their rivals over the course of the next day. The women enjoyed another dominant outing, beating the second-place Mount Allison Mounties by 103 points. Rachel Shin came close to matching a CIS standard in the 400-metre individual medley winning her race in 5:02.07 (the CIS standard is 5:01.99). The Tigers will look to bring this momentum home in time for the Dalhousie Invitational, scheduled for Nov.16-17.